You use triple antibiotics, and your cat can, too. Triple antibiotics, three different antibiotics in one package, are creams or ointments for use on skin or eyes; you've probably used them. These products are used on cats with eye infections or minor skin wounds. When used on the skin, they are simply called triple antibiotics. When used for eye infections, they're called triple antibiotic ophthalmic ointments. Triple antibiotics are a combination of three antibiotics: neomycin, polymyxin B and bacitracin. Together, they work topically to treat topical bacterial infections. On a cat's body, triple antibiotics are used for bacterial infections of the eyes or eyelids, as well as bacterial infections occurring from minor scrapes, cuts, burns or other minor injuries. Triple antibiotics are available in cream and ointment form. Brand names include Neosporin, Mycitracin and Neobacimyx. Generic forms are also available. For skin, use triple antibiotic ointment or cream. For eyes, use triple antibiotic ophthalmic ointment only, no cream. The word ophthalmic refers to the eye. With use of triple antibiotics, your cat's wound or eyes should start looking better within 48 hours, according to the website of Colorado State University's College of Veterinary Medicine and Biomedical Sciences. If symptoms are present after a week of treatment, call your vet. The website suggests applying ophthalmic every two to six hours, and ointments every eight to 12 hours. Wash your hands first. For skin wounds, cleanse the area of dirt or discharge, then apply medication. For ophthalmic, position your cat's head so she's looking at the ceiling. Gently pull down the lower lid, pointing the tube tip away from the eye to avoid injury if she flinches. 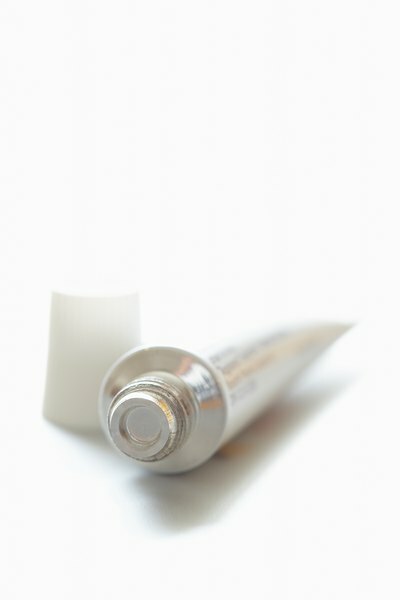 Move the tube to within an inch of her eye and apply a thin line of ointment across her lower lid. Don't touch the tube tip to your finger or to your cat's eye. Side effects are unusual, CSU's vet school website says; but if they do occur, they can include redness, swelling, irritation or difficulty breathing. Contact your vet right away if you see any of these side effects, or your cat's eye looks worse after application. Triple antibiotic ophthalmic ointment may sting when it first touches your cat's eye. It may also briefly blur your cat's vision momentarily. Monitor your cat during this time, so she doesn't hurt herself.